Sessions Aims at "Empathy Standard"
Sen. Jeff Sessions praised Sotomayor's “rich and engaging personality,” and “strong resume,” but also said he would take a close look at how her personal feelings could affect her rulings. Sen. Jeff Sessions (R-Ala.), the ranking Republican on the Judiciary Committee, took aim Saturday at President Barack Obama’s use of what Sessions deemed an “empathy standard” in choosing a Supreme Court nominee. It's a criticism Republicans have pursued since the president named Judge Sonia Sotomayor as his nominee, but seemed to retreat from after comments by former House speaker Newt Gingrich and radio host Rush Limbaugh called the judge a racist were seen by many in the party as crossing a line–and politically unsuccessful, to boot. Gingrich later backtracked somewhat, saying that in a letter to supporters that he had been "perhaps too strong and direct." Limbaugh, while standing by his remark, later said he nonetheless might support her nomination. In the address, Sessions praised Sotomayor's “rich and engaging personality,” and “strong resume,” but also said he would take a close look at how her personal feelings could affect her rulings. 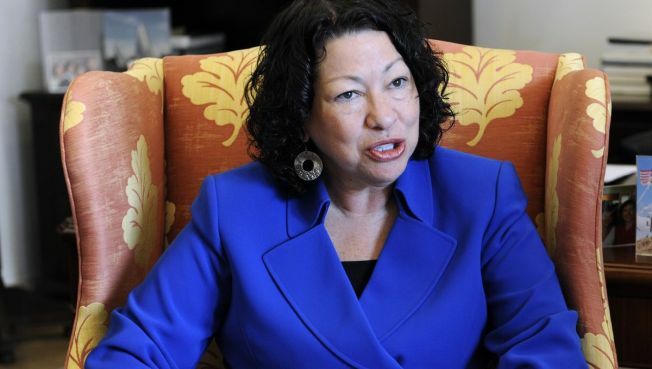 Sotomayor, a federal appellate judge who is of Puerto Rican descent, has drawn criticism for a 2001 speech in which she said: "I would hope that a wise Latina woman with the richness of her experiences would more often than not reach a better conclusion than a white male who hasn't lived that life."